An artist is a person who lives in the triangle which remains after the angle which we may call common sense has been removed from this four-cornered world. Natsume Sōseki explains, or perhaps doesn't explain, the title of his novel The Three Cornered World. 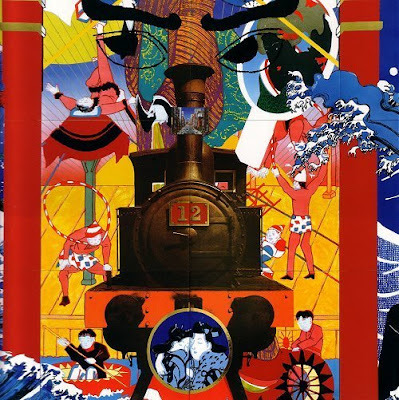 Header image is a detail of Edo to Mejii, silkscreen on ceramic tile, by Tadanori Yokoo. I will be back soon. When you get a free chance, check out Seattle Opera's New Blog!